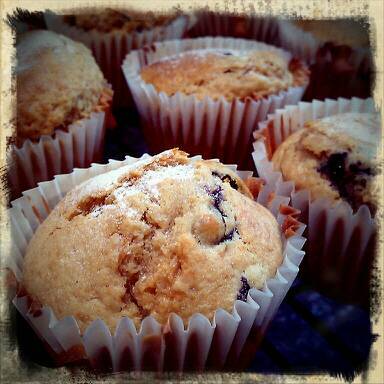 DH made some blueberry muffins…. >They look positively yummy, I can almost taste them from here! >mmm is right! they look delicious.